Katie joined Welch as a co-op student in 2011. After graduating from the University of Ottawa with a Bachelor of Commerce with a Specialization in Accounting, she joined Welch full time as a staff accountant in 2013.
designation in 2014 and was promoted to manager in 2016. 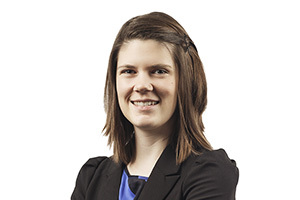 Katie’s experience includes audits, reviews and compilation engagements in a variety of sectors including private owner-managed companies and not-for-profit organizations.